99% of fitness and weight loss journey’s start out with a goal. After that goal is set we hold our clients responsible to meet those goals by continuously measuring progress and providing feedback. We do not give up! Every minute of every session is spent assessing our clients’ strengths and weakness and building on both, allowing for constant growth with no room for stagnation or plateaus! All while maintaining an open, supportive environment. 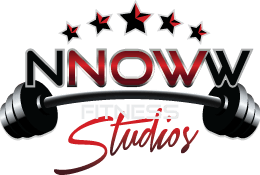 Here at NNOWW, we utilize key skill building techniques, physical fitness, essential information about movement, your body and food, positive motivation techniques, and much more to empower our clients to make the decisions that are best for them, not just in weight loss, but in all aspects of life. With overall wellness being the goal, fitness development and progression, weight loss, looking good and feeling great end up the added bonuses! Although all client plans’ are highly individualized, our approach will always be one of keeping a clean diet, daily physical activity and mental wellness. In addition to nutritional guidance, strength training, muscle building, increasing endurance and stamina we also specifically focus on client motivation and well-being. Again, because all our programs are client centered and results driven, we are able to keep our clients accountable to stay on track with, meet and exceed their goals. Finally, we promote regular wellness visits and encourage collaborative work with all our client’s physicians while continuing to build our own network of wellness professionals (holistic practitioners, physicians, nutritionists, dieticians, various styled personal trainers, counselors, psychologists, etc) to be able to make recommendations and referrals whenever needed to make sure all our clients’ needs are being met. Do it NNOWW, Do it CLEAN, Do it for LIFE.